Yukie Ohta, founder of The SoHo Memory Project, was born in SoHo in the1960s and currently lives in the same building where she grew up. The loft she lives in (owned by her family) is one floor up from the once she grew up in and has been split into two living spaces for her family and her sister's family. It is one of six units in a four-story cast iron building on Mercer Street built in 1898. Being the true New Yorker that she is, Ohta went to the SoHo community playgroup, P.S. 3, I.S. 70, Stuyvesant High School before enrolling in Barnard College. She has lived all over the city, from Greenwich VIllage to the Upper West Side and as far out as Brooklyn--but has always considered SoHo her home and says she will probably never leave. 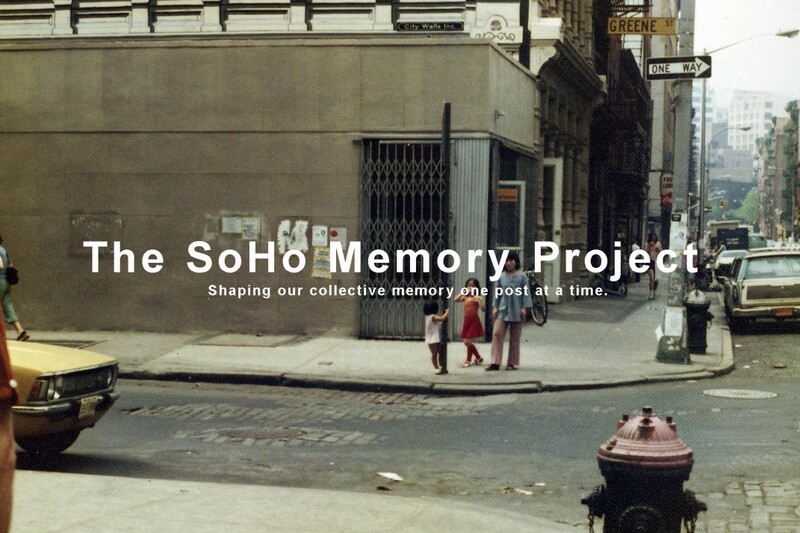 Launched in 2011, The SoHo Memory Project covers the history of Soho from the 1960s to today--including the art scene as well as the diverse community of SoHo, including the families, businesses, community groups and basically all creative activity (photographs, sound recordings, video, etc.). Ohta hopes that the blog will be a record of the lost community of SoHo comprised of myriad memories and experiences. It is the nature of urban communities, especially in New York, to be in a constant state of flux. If they stopped changing, they would atrophy and die. But it is also very important to know how the neighborhood has evolved and what it took for it to be what it is today. SoHo is a wonderful vibrant neighborhood. To live in SoHo, one must appreciate its history. SoHo has changed drastically in the past 30 years, for better and worse. In the 1970's, the neighborhood was zoned strictly for commercial use, so anyone living here was doing so illegally. Many of the streetlamps did not work, the crime rate was high, there was no residential trash pickup, there were no schools or clinics, no public infrastructure at all. It was a kind of no-man's-land that even taxi drivers could not find without directions. There was also nowhere to buy food and no restaurants, save for a couple of diners open only for breakfast and lunch to serve the factory workers. Life was often difficult, especially for people with young children. On the other hand, back then, SoHo was like a small town. So few people lived here that everyone knew each other, greeted each other by name, and looked after each other. Because there were no public services, the community filled this gap by opening restaurants for locals and forming community playgroups where neighbors often paid for goods and services with their time and involvement instead of cash. In the SoHo of today, one can find every modern convenience known to mankind…stores and restaurants, medical offices, certainly sanitation services and working streetlamps, and much more. The median household income is also quite a bit higher now, thus attracting higher-end businesses and services. The streets are safe and clean, day and night. The tight-knit community, however, is gone. People and businesses come and go without my noticing, and I feel as if my neighbors, for the most part, are an anonymous, amorphous group of people, none of whom I ever have a chance to get to know. 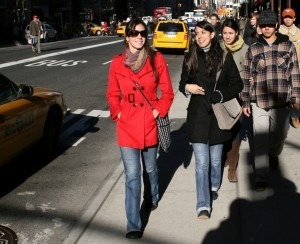 There are also numerous tourists visiting SoHo on any given day, making the transient population even higher. SoHo has thus changed, for better and worse, and people have differing opinions as to what is better and what is worse, depending on whom you ask. I honestly do not think there are any “good” deals left in SoHo, unless you count the old-timers who are paying pennies per month for their floor-through lofts under rent control! Best deals for dining: Fanelli’s and the Soup Kiosk just outside, Sunrise Mart, Broome Street Bar, Aroma and the Calexico food truck on Wooster. My neighbor across the street just listed his penthouse for $45 million. The most media buzz surrounds residences in the New Museum Building, The Police Building (not technically in SoHo), and SoHo Mews. 101 Spring Street, the building at the corner of Spring and Mercer streets, is the only single-use cast iron structure left in SoHo. The former residence and studio of artist Donald Judd (1928-1994,) 101 Spring Street has been meticulously preserved by the Judd Foundation and will reopen in June after 3 years of intensive restoration work. The building will be presented as it was when it was new and the interior – including the furnishings and works of art it houses – will be as it was when Judd lived and worked there. 101 Spring Street will be the trace that was left by Judd, along with a bygone group of people in a bygone era, whose ethos will be present in what is preserved there. It is the only comprehensive physical proof of how people in SoHo lived, worked, and played back in the 1960’s and 1970’s when Judd lived there with is family, and as such, it is the equivalent of an archaeological dig that uncovers a lost civilization. To live in present times at 101 Spring Street would be like stepping into the SoHo of my childhood, like stepping into a dream. But I will be content just to visit every once in a while…. 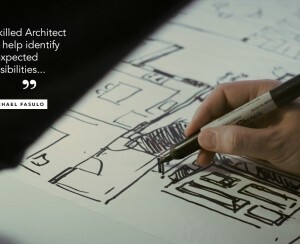 Any building that was built recently (e.g. The SoHo Grand) feels a little out of place in SoHo, since most of the buildings have cast iron facades and were built in the late-19th century. SoHo is also known as the Cast-Iron Historic District, as it was designated by the Landmarks Preservation Commission in August 1973. Ornate cast iron facades were originally used to spruce up pre-existing buildings, kind of like brick-face and stucco, but was later used in new construction as well. The City Council recently approved the rezoning of Hudson Square, permitting residential development in a former industrial neighborhood. Hudson Square, the area just west of SoHo proper, is bounded north/south between Houston and Canal Streets and east/west between 6th Avenue and Greenwich Street. As a result of the re-zoning, 7,000-8,000+ new residents will move into a neighborhood that currently has no active recreation space. These new residents will increase demand for our community's already overcrowded parks and limited indoor recreation facilities. Area residents, many living in SoHo, lobbied aggressively to ensure responsible development of Hudson Square that respects the needs of everyone living in the surrounding neighborhoods. As a result of these efforts, the final rezoning deal includes funds to build open space areas, fix the roof at Pier 40, to enhance a nearby recreation center, and to construct spaces for community use at a new elementary school site. When and how (and whether or not) these concessions are implemented remains to be seen, and progress on these proposed projects will need to be closely monitored by resident watchdogs. Over the past few years I have seen ever more luxury stores open in SoHo. Five years ago, I might have said that we had reached the peak of the retail mountain, but then Tiffany &. Co., opened on Wooster Street. I thought this was significant because it brings our neighborhood full circle, in the mid-nineteenth century, Tiffany’s had a store on Broadway between Spring and Broome (where Banana Republic is now), back in the area’s last “heyday,” when Broadway and its cross streets between Houston and Canal were lined with high-end shops, hotels, theaters, and so-called “pleasure gardens,” such as the famous Niblo’s. The iconic Tiffany clock that is on the façade of their flagship Fifth Avenue store once stood outside the Broadway shop. In addition, a residence belonging to the musician and actor Jon Bob Jovi, who lives across the street from me in the New Museum Building, went on the market last week for a hefty $45 million. So what will the next five years bring? I hesitate to say that we have plateaued in terms of commercial and residential development. The upward (price-wise) trend will probably continue, more stores will open and more buildings will be developed into the newly rezoned Hudson Square. One only hopes that members of the surrounding community will have some say in how and to what extent. TriBeCa, as it went through a similar process of gentrification and development and has similar types of buildings. Battery Park City, perhaps, because it is a recently-built pre-fabricated residential neighborhood that was built for the purpose for which it is now used (unlike SoHo), though socio-economically it is similar (now). Even though the neighborhood has changed unrecognizably since I was a child, I think I would and probably will stay in this neighborhood forever. The third generation of my family (my daughter and nephew) is growing up in our building, and most likely will raise families there. Only very recently, my parents decided to spend more time in Japan (where they were both born), so my sister, her husband, and son moved in to their space. We can’t afford to move anywhere else in NYC anyway. 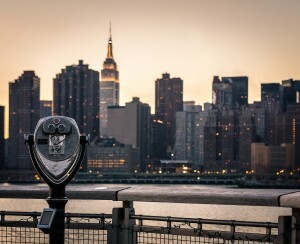 Real estate prices have soared way beyond our means and we would no longer be able to afford even a studio apartment in any of the five boroughs. I am not complaining, however. I am grateful to have a home in SoHo and am well aware of how lucky we are! The biggest misconception about SoHo is that it was always a glamorous place to live. Early loft living is romanticized--the starving artist and all that. My mother ventured out from her home in the mountains of Japan where the kitchen had a dirt floor. She left and followed my artist father to New York, moving to a place where the conditions were not much better or different…a loft space with no rooms and a coal burning stove for heat where she could not wash the windows for fear that someone would notice that they were living there illegally. There were odd neighbors who would come and go at odd times. Filthy streets with piles of “garbage” from which they pulled their home furnishings. Adventurous, maybe, but not glamorous. One misconception about SoHo, now, is that everybody who lives there is rich. The vast majority people who live in SoHo today are indeed wealthy, but some are not. There is a dwindling number of old timers of modest means who have lived in the neighborhood since the late 1960's and early-1970's who either bought their apartments very early for not much money or whose spaces are rent controlled so they pay way-below-market rents.